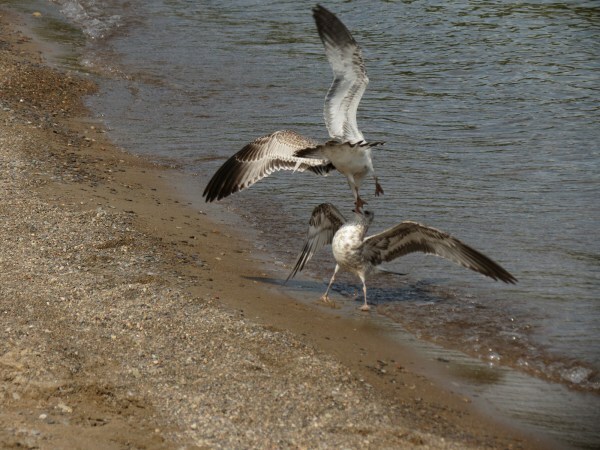 Every summer, the teenage seagulls throng on Brighton beach, swamping the holidaymakers and the hung-over hen parties. They are literally stretching their wings, shunned by their exhausted parents who have finally decided that their offspring need to fend for themselves. The beach visitors are rich pickings; careless and sun-drenched, their paper-wrapped fish and chips are just too tempting for the adolescent birds to resist. Swooping, beaks wide open to claim their prize, they dive and wheel among flailing arms, triumphant as they soar towards the sun, tasty morsels already halfway down their gullets. Every year, new birds. Every year, new holidaymakers. The birds learn – the humans make the same mistakes. Thank you! Yes, every year it happens, like a dance of nature…. Not only do the humans make the same mistakes, they also make new ones. Well done Freya, great statement about us never to learn humans. Wryly done Freya. Enjoyed this. And the circles they go round and round. Nice one. Nice meditation on the rite of summer at Brighton Beach. There are many more, I can confirm as an observer who stands by, pen in hand! Its on my list for the weekend..probably Friday. Love where you went with this, Freya. I can relate, and love the final line… should make us all think, about more than picnics. Interesting, one of the posts I read had a character named Freya! Very interesting thought – well-described! You’ve described both parties well!